Chipkin™ Digital Lumens to Modbus® RTU/TCP, BACnet® and HTTP gateway is a protocol converter for the Digital Lumens Light Rules lighting system. The gateway operates by reading zone and profile data from the Digital Lumens server into an internal database. 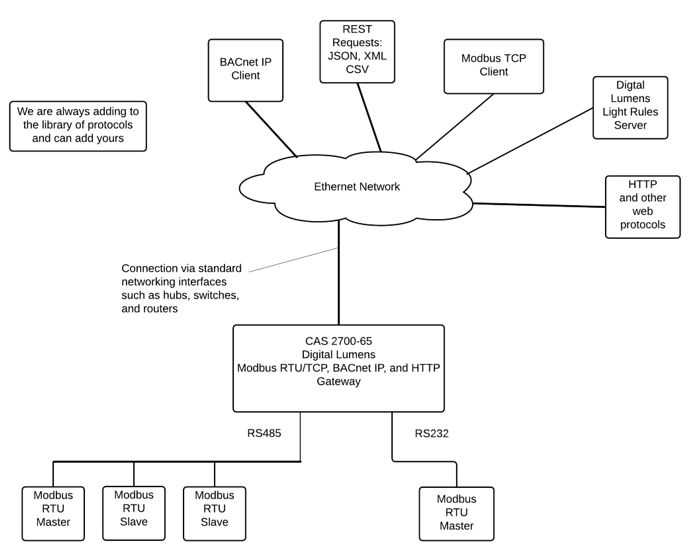 The values read from the device then can be read from Modbus® RTU/TCP, BACnet® and HTTP.